A digital radio service with 130 commercial free channels. The signal is digital. This means most static is self-cleaning. It runs from satellite so you get reception even in remote areas. 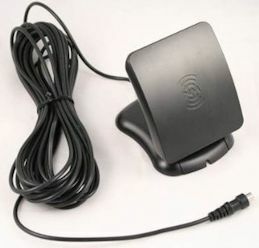 There are receivers for home, car and portable. There is a display that tells you the name of the piece and artist. You have to buy a special radio receiver. 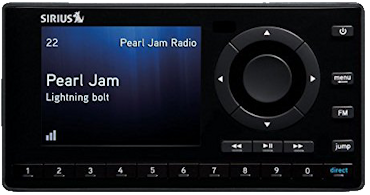 There are three kinds of radio: Sirius, XM and SiriusXM. You have make sure your subscription and your radio match. I suspect Sirius and XM are older technologies. a month for the subscription. If radio signals cannot penetrate your building, you cannot get them from cable the way you could for FM. You would put this by a window to take the signal deep into a cement or steel building. Needs SiriusXM subscription. Does not have speakers. You must add speakers or attach it to your home stereo. Also comes with vehicle kit option for less money. Needs SiriusXM subscription. 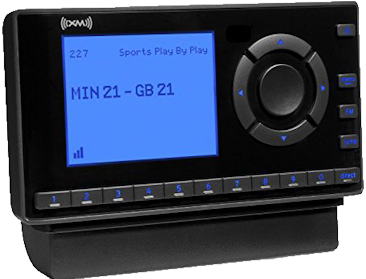 Pause, rewind and replay up to 30 minutes of live satellite radio. Also available with home kit. Must attach to car speakers.